The large island, which is the heart of the space, is made of TorZo Tiikeri in color Natural. 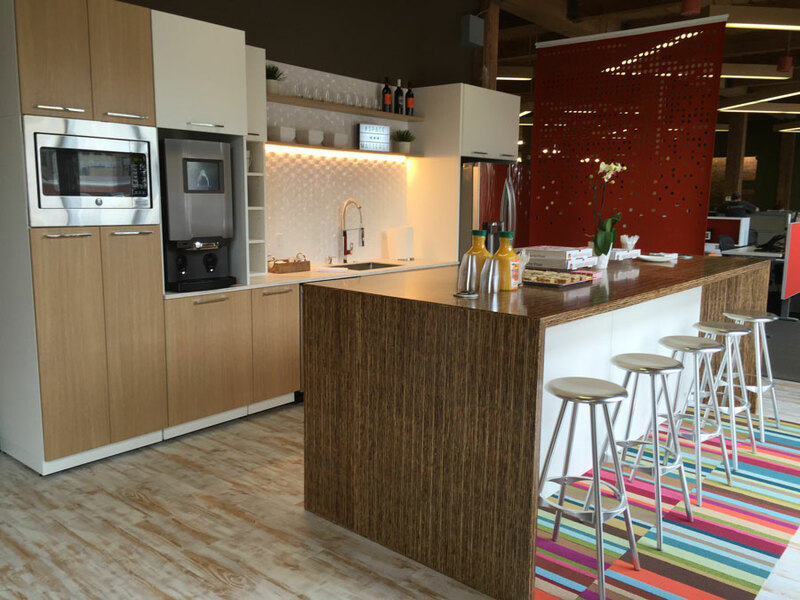 It’s a space for employees to eat, have impromptu meetings and serve up potlucks. Saxton had trouble finding a local fabricator to produce the top. So, TorZo not only provided the material, but also fabricated the countertop to their precise specifications, which included grommets for electrical. Contractors: DSM Designs and Saxton Inc.